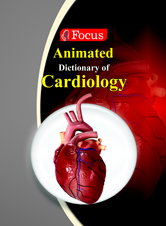 The Focus Animated Dictionary of Cardiology provides definitions and animations for hundreds of terms in cardiology. This collection covers most terms from Cardiology including Cardiac disorders, diagnostic tests and therapies. Each of the term is explained through animated video.